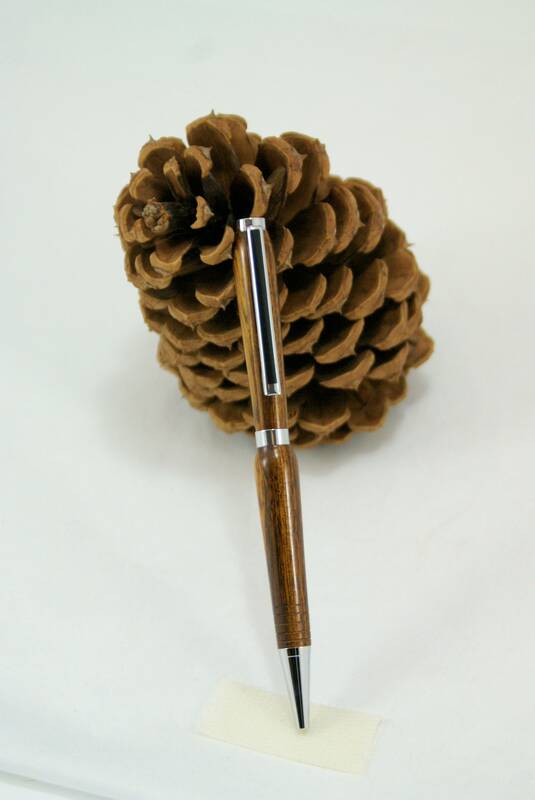 This pen is made with a piece of Kingwood, which is found in Brazil. 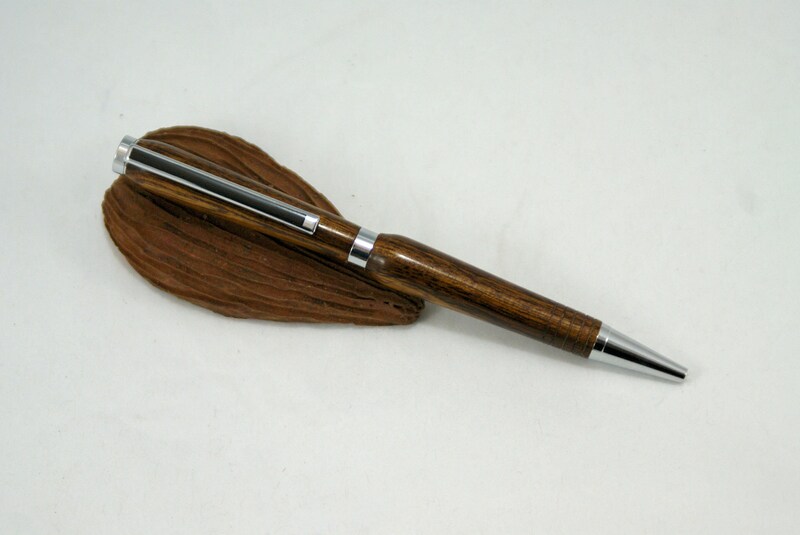 It was turned on my lathe with hand tools for that custom feel, perfect for any hand. It uses a replaceable pen cartridge that is available at any office supply store. The metal parts are made from Chrome. Which is designed to last. What a perfect way to start a new school year; have a beautiful pen to write all of those wonderful essays with. 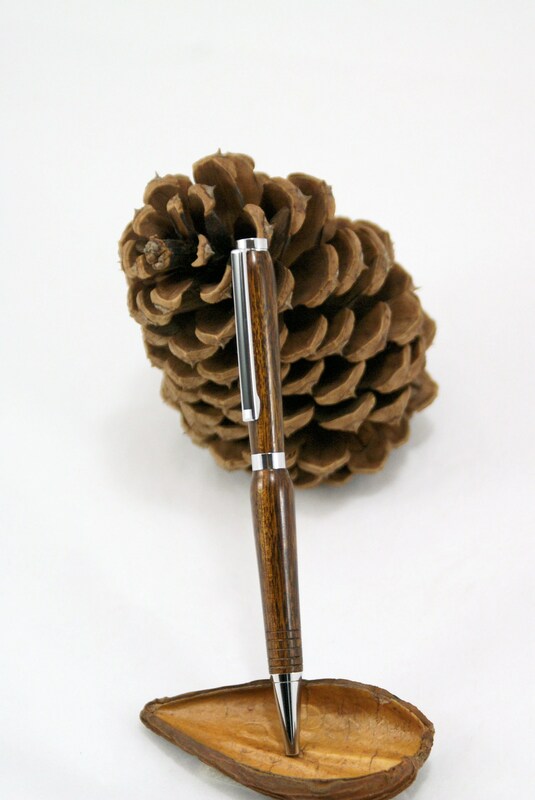 Maybe you are out of school and just want a nice, good looking pen for work. 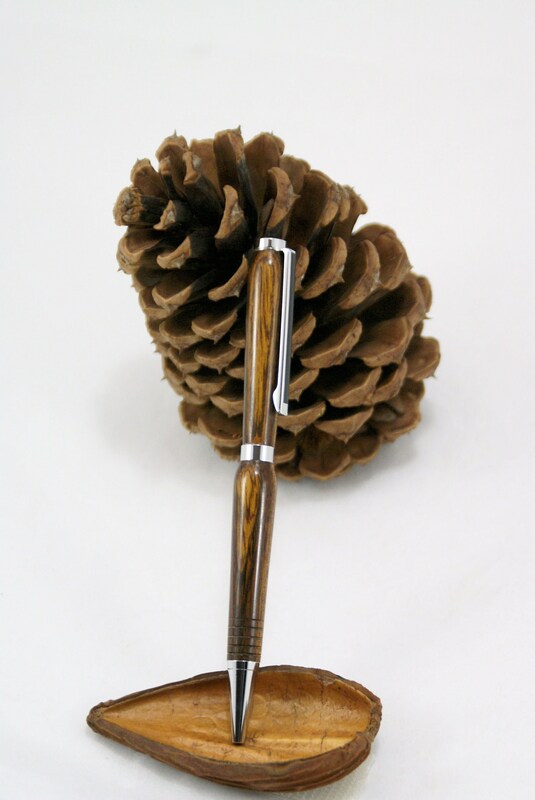 Or maybe you are like me and want to journal in style and write a letter instead of an email. 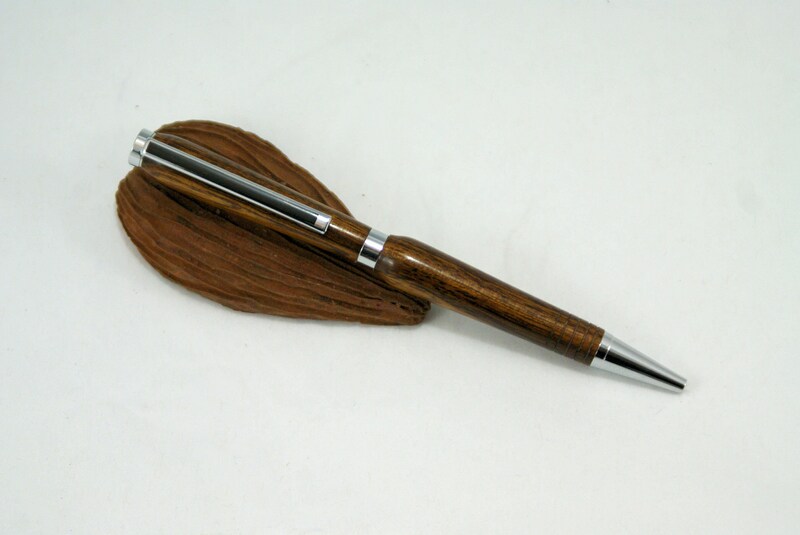 Anyway you cut it this pen is for someone like you.